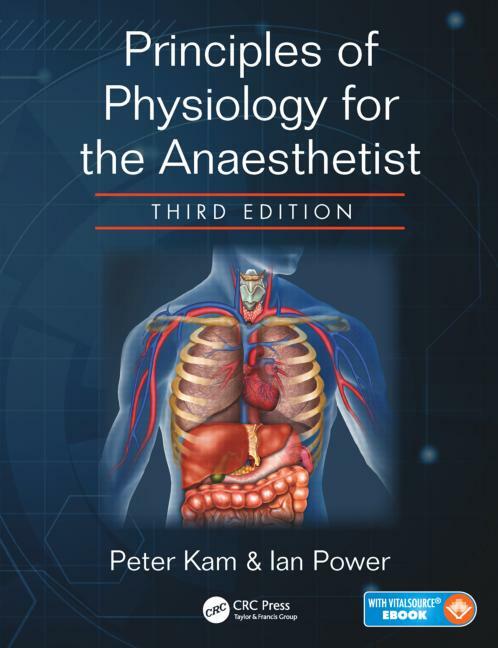 Principles of Physiology for the Anaesthetist, now in its Third Edition, continues to provide candidates with a "tailor-made" alternative to more general physiology textbooks and delivers information designed and written specifically with the trainee anaesthetist in mind. The book covers the physiology of all major organ systems, with specific emphasis on the nervous, respiratory, and cardiovascular systems. In addition, special sections on the physiology of pain, the physiology of ageing, and the physiological effects of specific environments—all highly relevant to anaesthetic practice—have been incorporated. The third edition builds upon several new features introduced in the last edition: learning objectives, areas for reflection, and a handy summary of physiological equations and tables. Copious diagrams throughout support the text and aid in the understanding of difficult concepts. The authors integrate their teaching experience in physiology into the content to improve the understanding of the fundamentals of human physiology in relation to the work of the anaesthetist. This book will remain an invaluable reference throughout anaesthetic training and beyond, as well as a useful revision aid. Peter Kam, MBBS, MD, FRCA, FANZCA, FFARCSI, FHKCA (Hon), is the Nuffield Professor of Anaesthetics, Sydney Medical School, University of Sydney, Royal Prince Alfred Hospital, Camperdown, NSW, Australia. His research interests include perioperative platelet dysfunction and pharmacology of inhaled drugs and local anaesthetic drugs. Ian Power, BSc (Hon), MD, FRCA, FFPMANZCA, FRCS Edin, FRCP Edin, is professor emeritus at the University of Edinburgh in the UK.